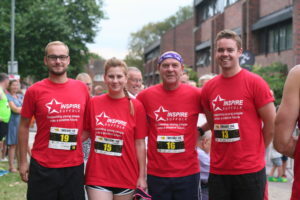 We are very excited to be launching a new charity challenge event here at Inspire Suffolk. 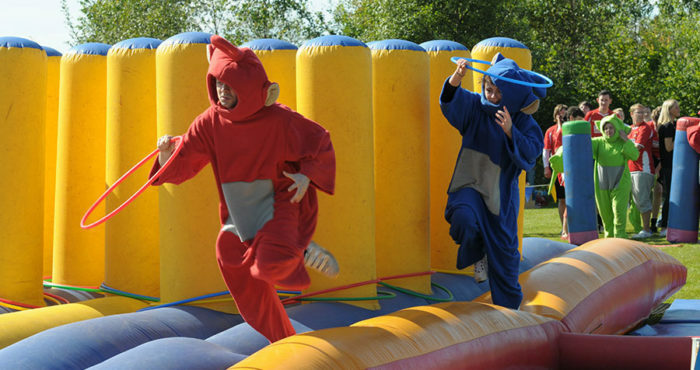 The We’re a Knockout team obstacle course will be coming to Inspire Suffolk at our base on Lindbergh Road, Ipswich on Sunday 9th September and we’re encouraging local businesses and individuals to get their teams together to support our charity. 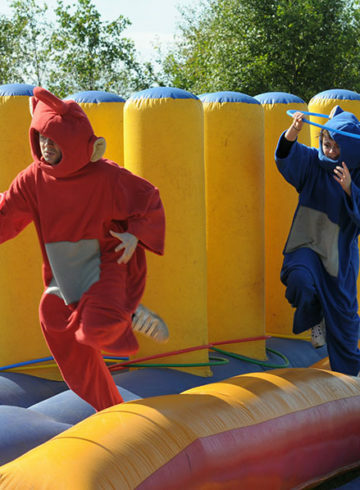 Our We’re a Knockout event is in the style of popular BBC show ‘It’s a Knockout’ and will feature giant inflatables, obstacles, costumes, foam and props for teams of 10 to try and top the leader board of local companies and teams. Proceeds of the challenge will go towards our vital work with local young people. Entry to the event is £20 per person for a team of 10 (£200 in total). 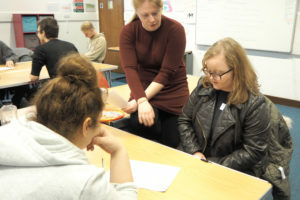 Participants are then also required to raise £50 sponsorship each, this can be raised individually or raised by their company (£500 per team). 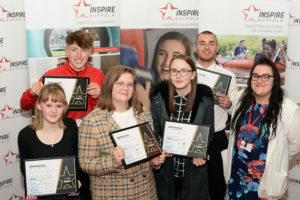 We are excited to see lots of local businesses take part in the challenge and compete against each other whilst also raising awareness and vital funds for Inspire Suffolk. The day isn’t just for the teams taking part in the event. There will also be activities for the whole family throughout the day including music, sports activities, food and drink stands, face painters and much more! We’re a Knockout is set to be one of our largest fundraisers yet so get signed up and try and top the leader board! We are looking for teams of 10 to take part in this fun and exciting challenge in aid of Inspire Suffolk. It’s set to be a great day and it’s a fantastic way support a local charity whilst also team building, networking and having lots of fun!